Kedron Lions does not offer a thrift shop arrangement for club members to trade uniforms but we offer an online classified ad service for connecting private sales. 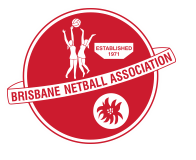 If you would like to advertise your second hand Kedron Lions netball uniform for sale, please use the uniform classified form. Unless notified sooner, classified ads will remain for 14 days before being deleted. There is no fee for our members and it is strictly for Kedron Lions uniforms only.